Made from Brady's B-499 Nylon Cloth material, which has a protective polyamide coating and permanent acrylic adhesive that keeps tape adhered to surfaces, even in autoclave, freezer, and liquid nitrogen environments. 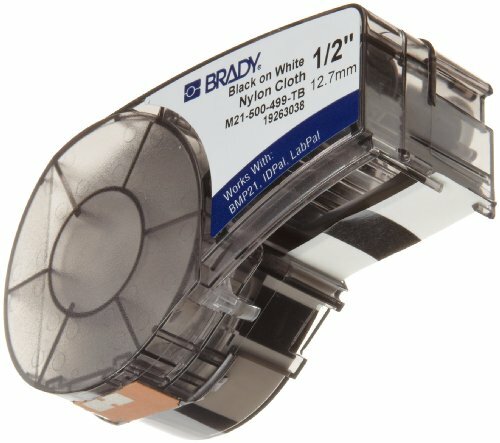 Nylon cloth tape with multiple use cases including cable and wire labeling, general-purpose marking of laboratory items, equipment panels, and faceplates. Low-profile tape adheres well to surfaces that are smooth, rough, highly textured, or powder coated, as well as to irregular surfaces or surfaces with low surface energy.